Dr.E.Eswara Reddy obtained B.Com. and M.Com. degrees from S.V University Tirupathi, and MBA from IGNOU. He obtained Ph.D. in Commerce from S K University and has 20 Years of experience in teaching and research in the field of Commerce and Management and has published 15 papers in Reputed Journals and participated and presented papers in national and international conferences. He has also published two books in Accounting and Finance. He has guided successfully 45 M.Phil. Scholars of Dravidian University, Alagappa University, Periyar University, Madurai Kamaraj University, S.V.University in the faculty of Commerce and Management and a Ph.D. student from Dravidian University. He has adjudicated 15 Ph.D. theses of Bharathidasan University , Bharathiar University etc. 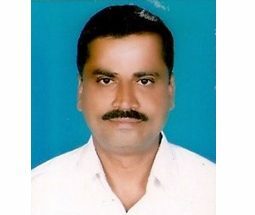 He is also a member of the board of ACCMA International Journal of Management and Vidyanikethan Journal of Management.